Marlin Steel boasts a variety of advanced automated manufacturing equipment to cut, shape, bend and weld metal into products that can meet your needs. From metal punch machines and laser cutters, that can rapidly punch holes into sheet metal, to wire bending robots and CNC press brake machines used for shaping wire along precise angles, Marlin Steel's engineers can tackle a variety of challenges. Electrical paneling and much more! All with rapid delivery times and a "Made in the USA" quality to be proud of. Our CNC punching machine can make more than 900 strokes per minute, allowing for an enormous overall level of output. 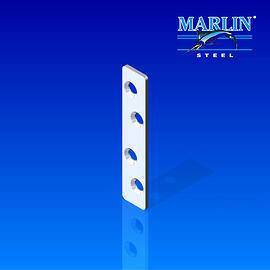 Learn more about how Marlin Steel can assist you through custom manufactured sheet metal products today!